By partnering with a Seniors Real Estate Specialist – SRES® – like me during your new home search, you’ll gain the help and expertise of a REALTOR® specializing in meeting the needs of home buyers and sellers 50 plus. What makes a Senior Real Estate Specialist a better choice, than just a listing agent? MORE SERVICES FOR THE SAME COMMISSION! As a Designated Senior Real Estate Specialist (SRES) in the Naples area, I take the stress and worry out of the home relocation, listing and preparation process like no other Realtor. With my senior real estate training, skills and experience, along with the best transition service providers, I offer a proven system to help you transition from an obsolete living situation to an “Age in Place” long-term solution. My process starts with finding the perfect community for your current and future needs to call “home”. Then, I organize and handle your move and assist you with the set up in your new home. The last step is preparing your home for sale, by listing on MLS, set up your unique global marketing campaign, then selling your home for a happy and low-stress life transition. I will provide an accurate comparative market analysis to provide the best price and days on market combination results. Provide the knowledgeable, home selling advice for your particular property and assist with recommendations and set up for the services needed, to get your home ready for sale and to closing. Market your property, globally, on major R.E. websites and social media with paid and unpaid ads, to focus on those, who “can” and potentially “will” buy your property. I will reach the entire world, not just this area! Use all the Power and Influence of all MVP Realty resources and 600+ agents to get it sold! Over 26% of all our MVP Realty listings are listed and sold by MVP Realty associates. Handle negotiations, paperwork, inspection, appraisal and managing the entire closing process. Always available to you with questions, concerns and special help needs. 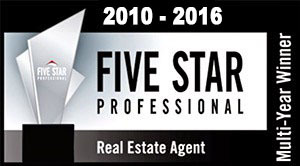 100% contract to close record and 17+ years of real estate experience and results. Work harder than any other Realtor in town! I provide you with a customized approach to your real estate needs. With the knowledge and expertise to counsel you through the major financial and lifestyle transitions involved in relocating, refinancing, or selling your family’s home. My team and I offer you the opportunity to complete a real estate transaction with the patience, professionalism, and expertise you deserve. A solid comprehension of Federal laws for Housing for Older Persons Act (HOPA). Sensitivity to 50+ issues and priorities. I provide reputable services that win and sustain trusting client and customer relationships. Knowledge of the uses, benefits, procedures, and issues involved in reverse mortgages. Education regarding the uses of pensions, 401k accounts, and IRAs in real estate transactions. The understanding of how Medicare, Medicaid, and Social Security impact your real estate decisions. As an SRES® designee, I’ve received extensive education on topics such as tax laws, probate, estate planning, and equity conversion strategies. I offer you relevant information on current market trends as well as valuable resources regarding your real estate transaction. For additional information about Seniors Real Estate Services, please complete the form below! I will respond to you within one business day.